Amid reports of adulterated Manuka honey in markets in UK, China and Singapore the NZ Manuka Honey Association is in the process of developing new chemical testing procedures that will verify the authenticity of New Zealand Manuka honey. Manuka honey has received world-wide acclaim in recent years for its special antibacterial and anti fungal properties not present in other floral sources of honey. 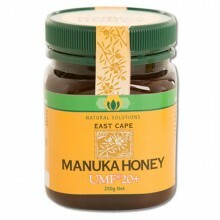 This has led to much higher prices for Manuka honey especially if it carries a high level of UMF or "unique Manuka factor" which is a measure of its antimicrobial effectiveness. Unfortunately unscrupulous vendors have been caught relabelling other floral forms of honey as Manuka UMF honey in order to achieve high prices. However the Unique Manuka Factor Honey Association intends to put a stop to this practice by becoming more vigilant and by providing a conclusive testing procedure which will allow food standards agencies in other countries to identify fraudulent Manuka honey quickly.